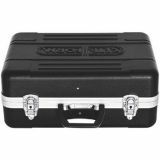 Set of hobby instruments, tips and inserts 20 parts Mannesmann 206 Mannesmann 206 tool set made up of 20 parts made of chrome-vanadium steel, placed in a sturdy, compact box. 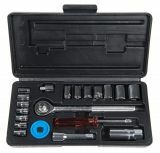 The kit includes a ratchet, screwdriver, extension, adapter and inserts. 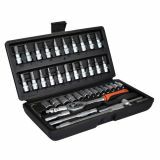 108 pcs 1/4”+ 1/2” hexagon socket set of tools- Metric 108 parts instruments set 1/4" and 1/2". 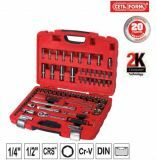 Set of hobby instruments, tips and inserts 23 parts Pro's Kit Set of 23 pieces of tips and inserts of different sizes. 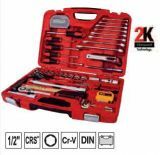 The tools are arranged in a convenient box. 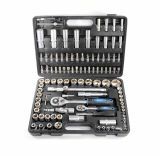 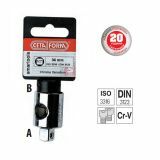 85 Piese 1/4” + 1/2” Hexagon Socket Set - Metric Gedore instruments set 85 parts 1/4" + 1/2"
Socket Adaptor Set, 3 pcs Adapter set 3 pc. 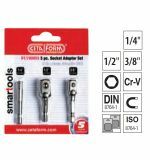 Drive Socket Adaptor, 3/8"-1/4" Ratchet socket adapter 3/8"-1/4"
Socket Adaptor 1"-3/4", impact Impact adapter 1"-3/4. 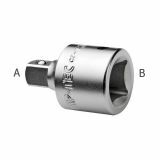 Socket Adaptor 3/4"-1/2", impact Impact adapter 3/4"-1/2"
Drive Socket Adaptor 3/4"-1/2" 3/4"-1/2" adapter. 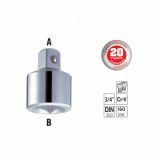 Socket Adaptor 1"-3/4", impact Impact socket adaptor 1"-3/4", chrome-vanadium steel with phosphate finish.